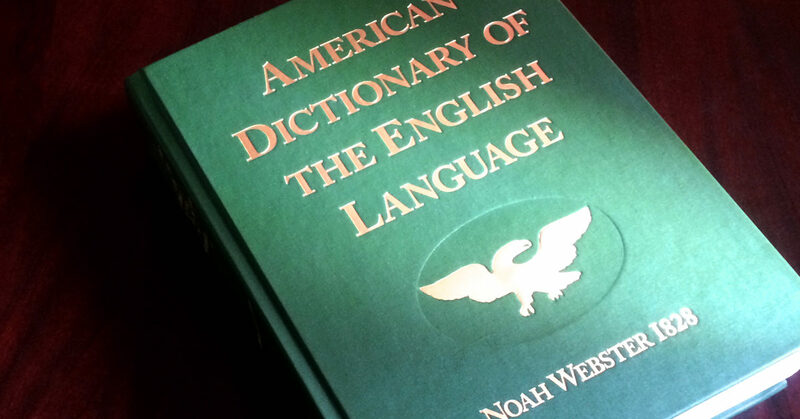 Noah Webster’s 1828 American Dictionary of the English Language will enrich your understanding of the English language and is a invaluable tool for daily study. This beautiful and durable dictionary is essential for scholars, students, home educating families, pastors, educators or anyone conducting in-depth research and is a necessity in any home. The dictionary presents definitions in a clear manner with comprehensive explanations, often excluded from modern dictionaries. It defines words using their full etymology, tracing roots in 26 languages and explains meanings using examples from literature, historic documents, the Bible and other classic sources. It is also a valuable primary source document for historians and legal scholars, since it reflects English usage during America’s founding generation. This tool can be the turning point for you to be more effective in communicating Christian principles used in government, economics, and marketing, or for your student to clearly understand how the Bible has influenced every area of life. It will strengthen your vocabulary, equip you for Christian leadership, give you an edge in communicating your view and become an indispensable tool for thinking and reasoning Biblically. The facsimile edition includes Volume I and Volume II of Webster’s original dictionary, plus a biography of Noah Webster. This hardcover edition features a green vellum hardcover with a gold stamped, embossed eagle designed by Paul Revere and is 2,000 pages.